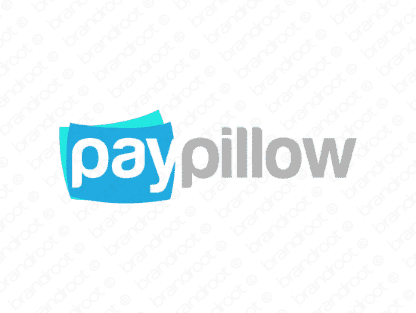 Brand paypillow is for sale on Brandroot.com! A catchy combo of "pay" and "pillow" that suggests a restful name with lucrative appeal. Paypillow offers unique and varied potential, a smart fit for inventive and clever payment systems and apps, insurance services or e-commerce platforms. You will have full ownership and rights to Paypillow.com. One of our professional Brandroot representatives will contact you and walk you through the entire transfer process.